Apparently, I've got a case of Spring Fever or something! I forgot a very important detail in yesterday's post about the Love Your Camera workshop. The time! Whoops! 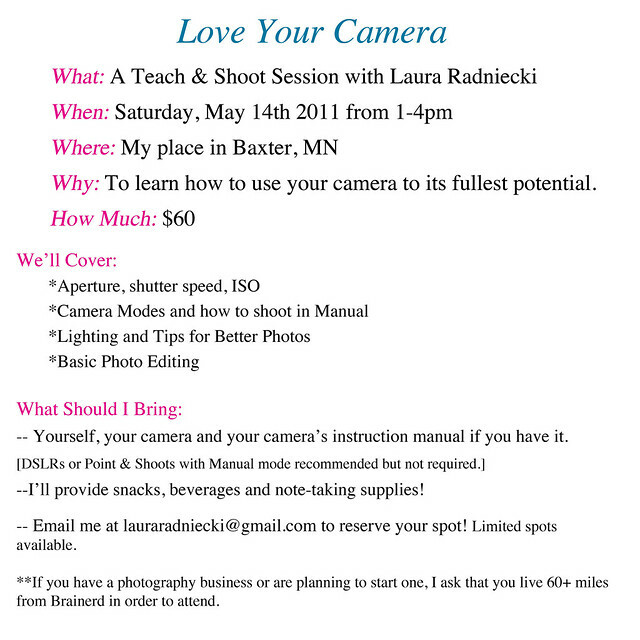 Here are the complete details for the first Love Your Camera session. If I have left out any other crucial pieces of information, please let me know! I'll be basking in the sunshine that's flowing in my window in the mean time. 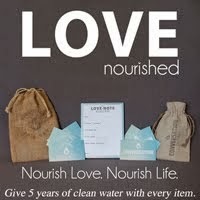 This session will be along the lines of a community-ed type class, very relaxed and perfect for asking questions. No pressure, just a lot of fun! 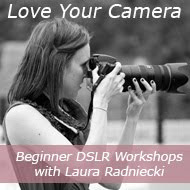 I'm excited to meet you, and help you learn about your camera.